Nothing used and nothing added! And for Slow Stitching Sunday with Kathy at Kathy Quilts, I plan to work on A Rainbow Garden again today! I got a bit done on the new block last week. 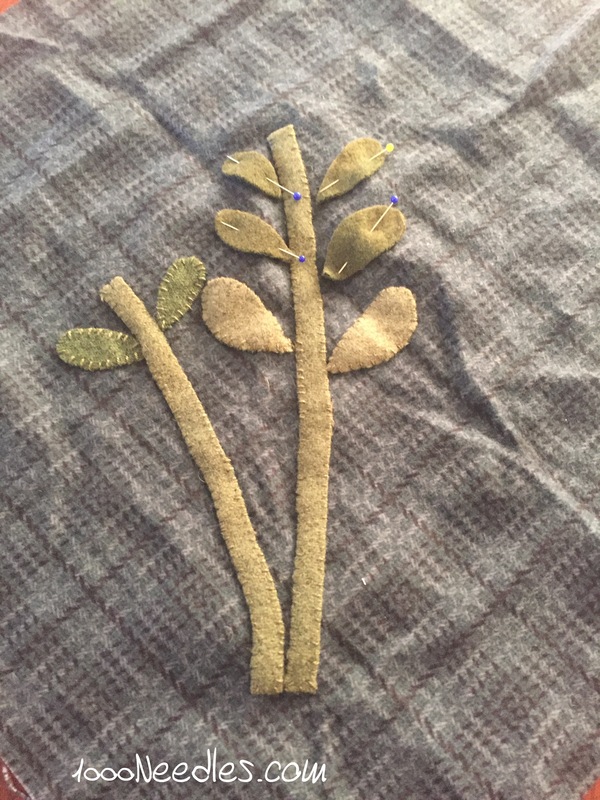 When I took Alison Glass’ wool applique class at QuiltCon, I learned which side was the front and which side was the back. That was really helpful as I didn’t know before. In addition, she puts a bit of glue on the wool to keep it secure rather than pin. I would love to do that because the pins keep poking me but the glue doesn’t work on the background fabric. So, I’m working with pins for the moment. 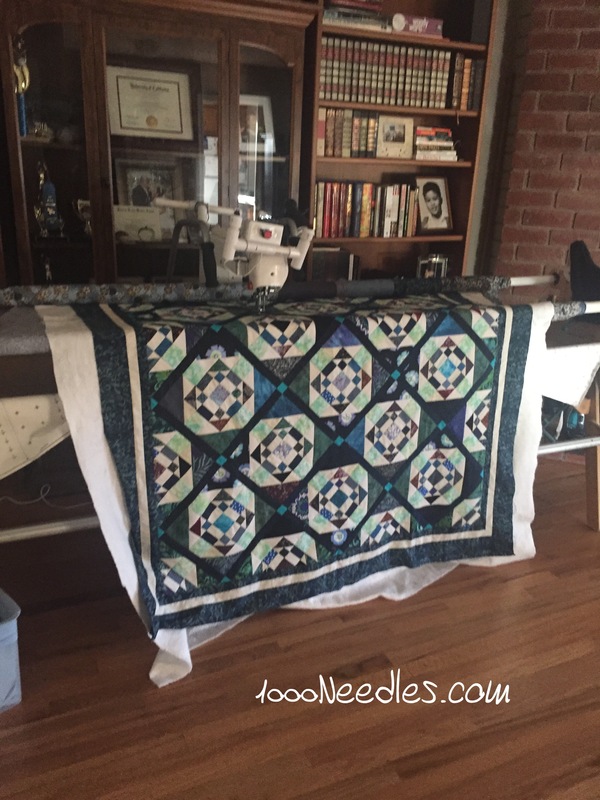 Beatiful quilt top. Loved it. Your “Garden” is coming to life. Happy stitching. Have you tried a bit of rubber cement? It washes right out. We used to be able to get tubes of it from quilt stores, but I haven’t looked lately. It’s no different than the one from school supplies, though.